This Champion of Teaching and Learning honoree embodies commitment and creativity through her teaching and mentoring as a First-Year Interest Group Seminars (FIGS) Senior Peer Instructor. In her “Psychology through the Lens of Phrenology” course, she emphasizes personal wellness and diversity and intertwines each lesson with connections to Psychology. Her students have been positively impacted by her problem-solving skills and encouragement for their success and engagement with each other and the Rutgers community. 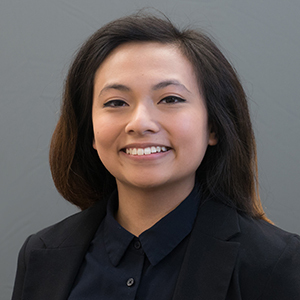 Her other leadership roles include, but are not limited to, ARESTY Research Center Peer Instructor, Honors College Lead Ambassador, and Intern for the Center for Violence Against Women and Children.